BEST PRICE EVER and a BookGorilla Debut! When Lilia Albert was a child, her father appeared on the doorstep of her mother’s house and took her away. Now, haunted by an inability to remember much about her early childhood, Lilia moves restlessly from city to city, abandoning lovers and eluding the private detective who has dedicated a career to following close behind. The post <p style="text-align:center;font-weight:bold;">When Lilia goes out for a paper and fails to return to their Brooklyn apartment, Eli follows her to Montreal…. 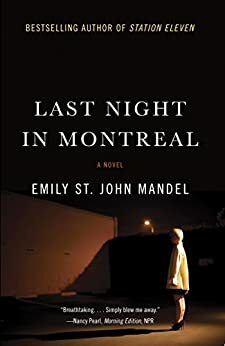 <em>Last Night In Montreal</em> by Emily St. John Mandel</p> appeared first on Kindle Fire on Kindle Nation Daily.